I love Spain, I love the culture and the history – from lazy afternoons spent in the bar during the siesta to the sinister politics of the Inquisition. My Master’s Degree was about the language, history and culture of this wonderful country. I loved Spain – it was my spiritual home – until I went to Mexico. 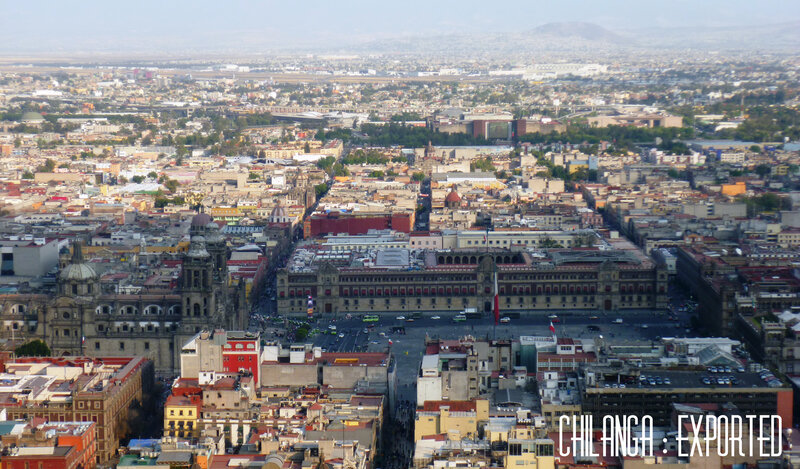 I’ve only been three times to Mexico City, and to surroundings in Querétaro and Puebla but now I’m marrying my Mexican I feel the need to know it a lot better. I fell in love with the city before the plane had even landed, all the lights and the orange glow of the city spreading out for miles around. I was anxious about going to Mexico, because you do read in the news stories of kidnapping and bodies hanging from trees at the side of the road, but you get out of the airport into the city and you see the colour and the lights and the people and the traffic and Christmas trees and the graffiti and the street-sellers and the road signs and the piñatas and the margaritas and the streamers and the fruit and… Everything about this city is so immediate and so vibrant. 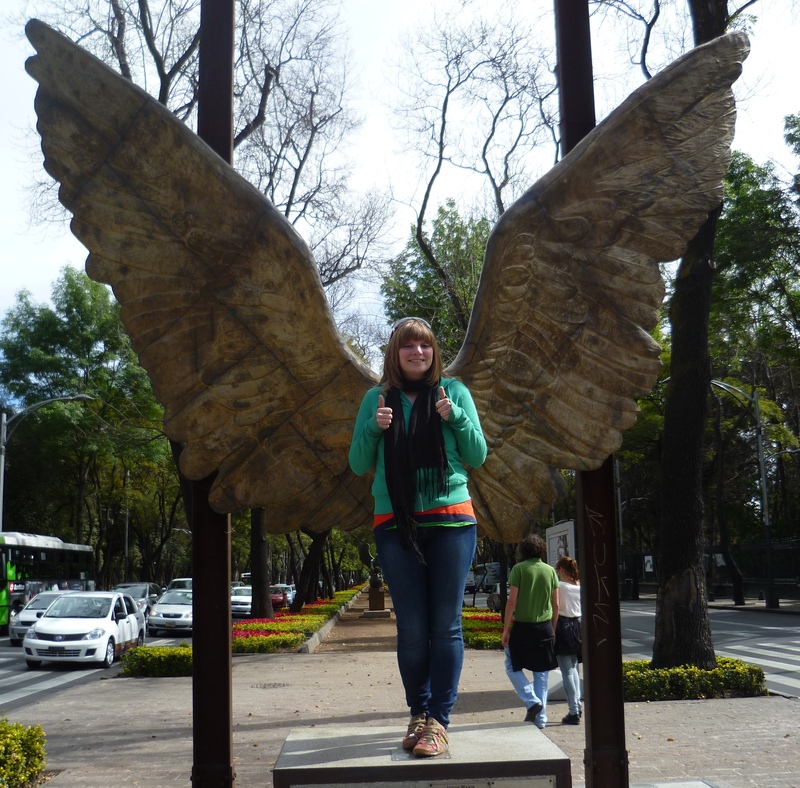 We get round by car, from the sleek little bars in Polanco, to the artisan markets in Coyoacán. I love everything, I can’t stop looking at it all and I love that it’s weaving itself into my own identity. The one book to describe the Mexican people is Octavio Paz’s El Laberinto de Soledad, Labyrinth of Solitude. I did read it in English but I have to admit it was tough going, the last time I read this kind of academic writing was seven years ago when I was still in academia. Published and translated in 1961, the book describes Mexico’s history from Aztec emperors to finding a voice in the Revolution, and politics with the rest of the world, one thing is really clear to me : Mexico doesn’t really know what it wants. Every new period in history promises institutional reform, but once in power it quickly dissolves into feeling unfulfilled again. As though still bruised from colonial rule and living in the shadow of the powerful USA, history has brow-beaten all the ideas into a struggle rather than a solution. Despite this, Mexico is a magical country, even now still searching for an identity and finding its place in the modern world and I love it! Of course! Looking forward to my first Christmas there this year!